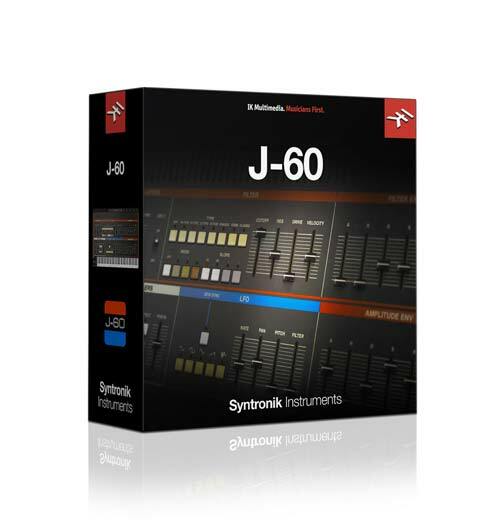 Syntronik’s J-60 brings users the authentic sound of the Roland Juno-60. Manufactured from 1982—1984, the Juno-60 was the lower-priced alternative to the very expensive Jupiter-8, but it found a place in music production all its own. 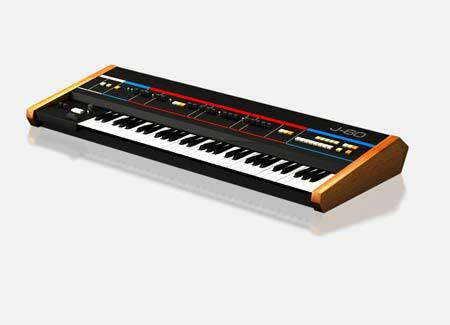 The Juno-60 uses the same Roland IR3109 filter chip as the Jupiter-8 with its 4-pole resonating low pass filter and non-sweepable high pass filter. The Juno-60 uses DCOs – digitally controlled oscillators – for better tuning stability than the Jupiter’s VCOs, or voltage controlled oscillators. The Juno-60 also only has one oscillator per voice vs. the Jupiter’s two. Because of this, oscillator detuning is not possible on the Juno-60, but Roland added a beautiful sounding analog chorus effect to compensate for this. The result is an instrument with its own character and style that is treasured in synthesizer history. The Roland Juno-60 has been used by a plethora of famous bands, producers and artists such as Enya, The Cure, Sean Lennon, Astral Projection, Vince Clarke, Men at Work, Flock of Seagulls, Howard Jones, Eurythmics, Billy Idol, The Cure, INXS, Ultravox, Nik Kershaw and many others.